Hutchison 3G operate the award winning, fast growing Three mobile network in the UK and claim to carry 45% of the UK’s internet traffic. They operate regional data centres including a large facility at Trafford Park, Manchester. The original design of the Manchester facility relied upon the humidification function being achieved by large electric steam humidifiers, as part of the fresh air delivery for the 4 data halls. The humidified fresh air mixed with the warm air returning through high level louvres from the data halls into “cooling corridors”, where downflow air conditioning units were in operation. The steam humidifiers were expensive to run and maintain and not altogether effective, as the volumes of fresh air were relatively small. Humideco were called in to make a survey and propose a more energy efficient alternative. Having recently installed humidifier systems within similarly designed cooling corridors for HP, Gyron and others, Humideco proposed a scheme that consisted of Stulz BNB ultrasonic humidifiers installed within the return air path in each of the cooling corridors, and fed with de-ionised water from a centralised RO system. The proposal offered these three benefits: - A 90% reduction in humidifier power requirements; from 122kw to 12kw; - Free cooling benefit due the evaporative cooling effect of the humidifiers; - Lower fresh air temperature setpoint, so a reduced need to heat fresh air. In total, the scheme would produce operating cost savings of around 90%, bringing a saving of over £35k per year, and also reducing equivalent annual carbon emissions from 165 tonnes per year to 16 tonnes. Sixteen humidifier units were installed by Humideco’s own team in 2015, each requiring only a single phase power supply, compared to the large three phase supplies needed for the steam humidifiers. Shown below is a view along a typical cooling corridor, with two of the humidifiers on the left, in front of the high level return air grilles from the data hall. 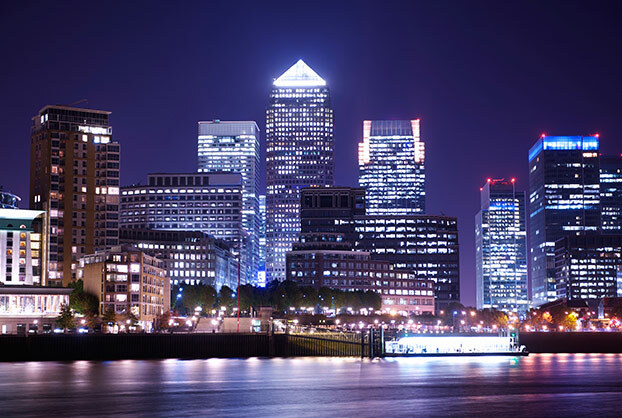 Humideco are specialists in energy saving humidifiers and work with many leading data centre providers around the UK. As distributors for the world leading Stulz ultrasonic range, we are proud to offer a range of equipment which has been thoroughly proven for over 20 years, in thousands of demanding applications. Ultrasonic humidifiers are ideal for data centre applications, not only because of the low energy requirement, but also because of the “free cooling” benefit, which aids the cooling process, unlike a steam humidifier, which simply adds to the heat load. Multi-award winning Colston Bassett Dairy is the home of traditional Stilton and Shropshire Blue cheeses and the Nottinghamshire company has been making outstanding cheese for over one hundred years. Traditional cheesemaking methods are still very much in evidence throughout the dairy and this ensures that exceptional quality and consistency is achieved. It is a delicate, labour intensive process but the excellent flavour is clear proof of this methodology. 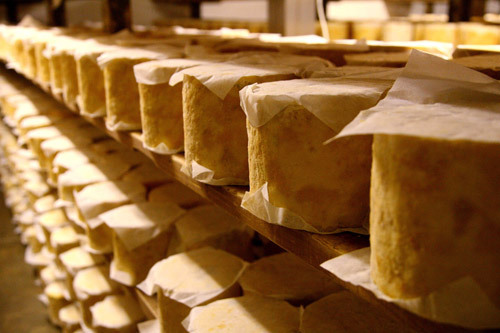 Control of temperature and humidity are vital at various stages of the cheesemaking process. During maturation in particular, the environmental conditions are critically important to the rate of ripening, loss of weight, rind formation and for the development of the blue veins typically associated with Stilton cheese. As an upgrade to the control of relative humidity within the maturation rooms, low-energy Stulz ultrasonic humidifiers were recently installed at Colston Bassett by humidification specialists Humideco Ltd. The units produce an extremely fine, non-wetting mist, under precise control and with excellent operational hygiene. Humideco worked closely on the layout of the system with Colston Bassett’s Master Cheesemaker, Billy Kevan, who commented “we felt that Humideco understood our needs and have been impressed with the quality and performance of the equipment”. 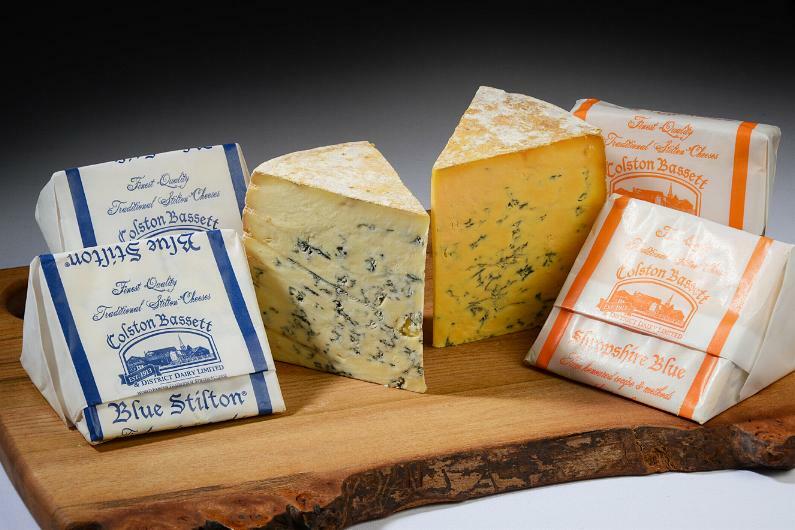 Colston Basset Stilton and Shropshire Blue cheese are available from quality retail outlets and through mail order. If you are a lover of fine cheese, we recommend you try some soon ! 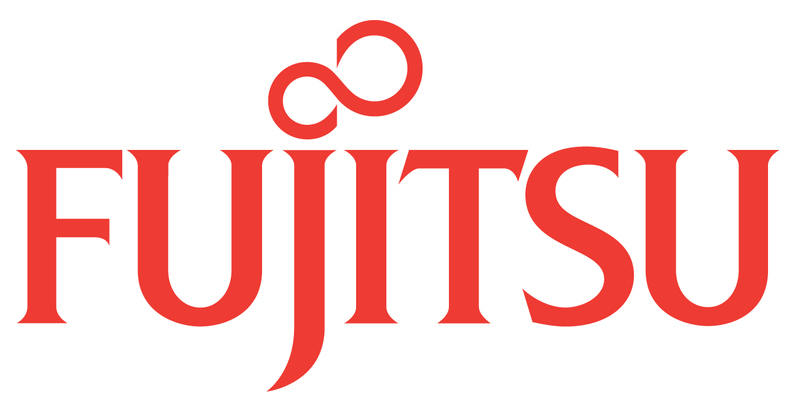 Fujitsu are the world’s fourth largest IT provider, and their data centres offer highly secure, highly available and highly efficient solutions with excellent connectivity. Fujitsu have over 50 years of data centre experience and deliver consistent operational excellence aligned to international industry standards. This was recognised with Fujitsu being the first organisation in Europe to be awarded the Gold Operational sustainability award by the Uptime Institute. The London East data centre is in Thurrock, Essex and consists of 5,100m 2 across four technical halls. It is designed and operated to Tier III standard, having been certified with the management and operation stamp of approval by the Uptime Institute. Fujitsu are committed to making their data centres as energy efficient as possible, in order to reduce their carbon footprint and the environmental impact of their data centres. As well as being a member of the green grid, they are also an endorser and participant in the EU code of conduct for Data Centres. The assurance of an adequate level of relative humidity within the technical halls is an important part of the Tier III standard. The original fit out at the facility featured electric steam humidifier units, rated at 102kw, fitted to fresh air supply plants, on an n+1 basis. The electric steam humidifiers were expensive to operate, both in terms of the energy consumed by the units, and the need for both frequent maintenance, and replacement steam cylinders. In 2015, Humideco were contacted by Fujitsu’s external data centre consultants with a view to replacing the facility’s steam humidifiers with a more energy efficient alternative. After assessing the present set up, Humideco proposed a Stulz ultrasonic humidifier system, along with the necessary air handling unit modifications. The proposed system would be rated at only 9kw, and would need only minimal maintenance every 6 months. Resultant CO 2 emissions would be reduced from around 100 tonnes per annum to about 10. All in all, operating cost savings would be in the region of 90%, and the system would pay for itself within 18 months. 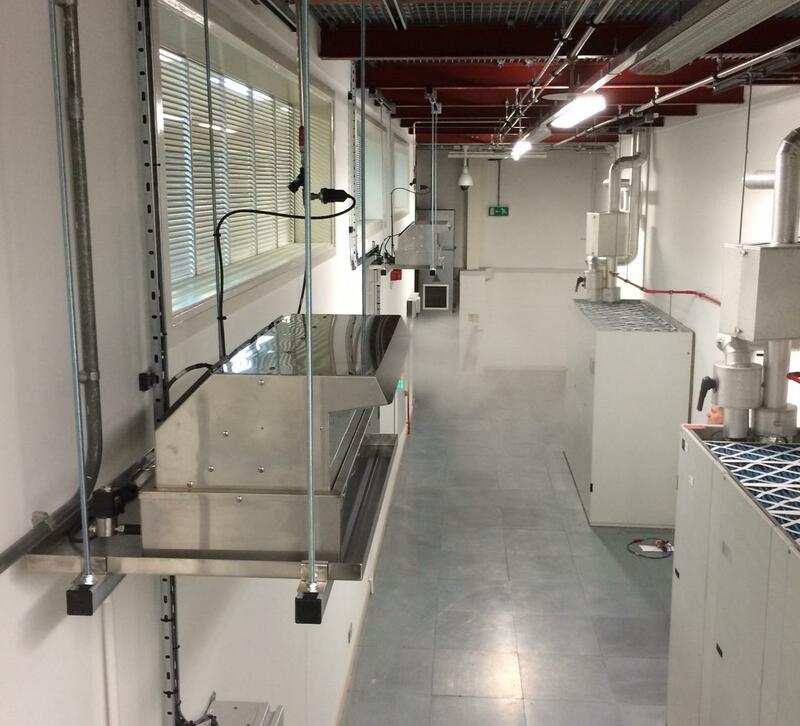 The system was installed by Humideco’s own team in 2016, as part of an infrastructure upgrade at the facility. 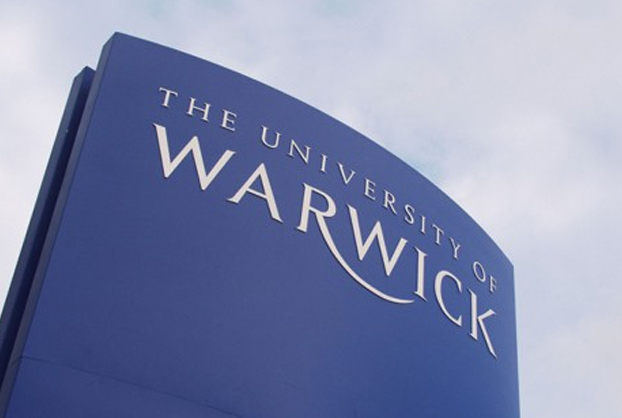 Ranked in the top 10 of all major UK university league tables, the University of Warwick has recently been awarded The Times and Sunday Times University of the year. For one of their many science facilities, DriSteem’s UK distributor Humideco have recently supplied 4 large GTS (gas-to-steam) humidifiers, to maintain laboratory conditions within close limits of relative humidity, 24/7. The DriSteem units have replaced the original steam humidifiers, which were failing. The new system includes an RO water treatment plant, to deliver mineral free water to the humidifiers. This means virtually maintenance free humidification, with the close burner modulation capability of the DriSteem units able to accurately deliver steam over long periods without the build up of mineral scale within the humidifier internals and the subsequent need for maintenance becoming an issue. 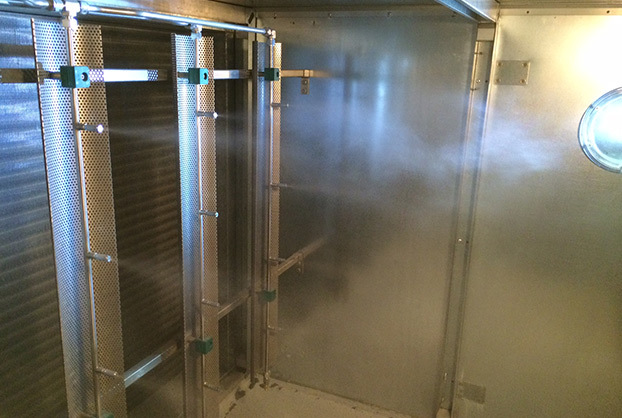 The steam is introduced into the AHU airflow, via bespoke Rapidsorb steam dispersion manifolds. This ensures steam absorption within a very short distance, typically around 400mm, by allowing only dry steam from the centre of each vertical dispersion tube to enter the airstream. The Rapidsorb manifolds also feature DriSteem’s insulated tubes, to reduce condensate, and minimise heat transfer to the air. Tall buildings present particular difficulties for designers of building services: high heat loads across floors mean high demands for cooling, year round. For the provision of comfort humidification, this is less than ideal, as cooling often means dehumidification and low supply air temperatures, reducing the scope for moisture absorption. The EcoMist HVAC system effectively combines the benefits of two humidification principles in a single system. High pressure atomization using our unique, ceramic EcoMist nozzles is combined with DropStop evaporation modules. The result is a highly controlleable, efficient and hygienic humidifier, particularly suited to larger air handling units. The EcoMist systems replaced the original unsuccessful evaporative humidifiers, which were not able to operate at the required level of efficiency or reliability. Frederick John Horniman, Victorian tea trader and philanthropist, founded the “Horniman” Museum at his Forest Hill home after he began collecting objects, specimens and artefacts illustrating natural history, the arts, and the handicrafts of various peoples of the world during the 1860s.The original Museum and Gardens, featuring the landmark clocktower pictured below, were formally opened to the public on 29 June 1901. 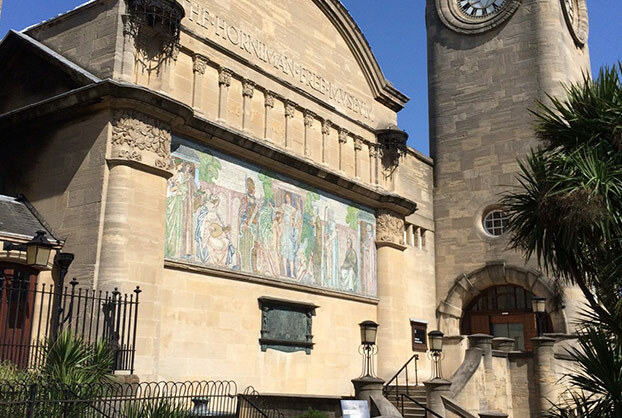 Close environmental control of temperature and humidity within museums and galleries is important for the conservation of artefacts and works of art. Steam humidifiers have typically been used in conjunction with air handling units to achieve this, and this was the case with several of the Horniman’s galleries, but with ever increasing energy costs, the Museum recently decided to replace its AHU steam humidifiers with ultrasonic humidifier systems from Humideco. Ultrasonic humidifiers use less than 7% of the electrical energy of a steam humidifier and operate cleanly and hygienically from mineral free RO water. With ultrasonic humidifiers there are no throwaway cylinders, no mineral scale to contend with, and only 6 monthly planned maintenance is needed. Due to the added benefit of evaporative cooling with ultrasonic humidifiers, it was possible for the museum to make further energy savings, via the BMS, by controlling the fresh air damper settings at certain times in order to balance the cooling, humidification and fresh air rate. In this way, the humidifiers can be used at times to cool the galleries without using chilled water. 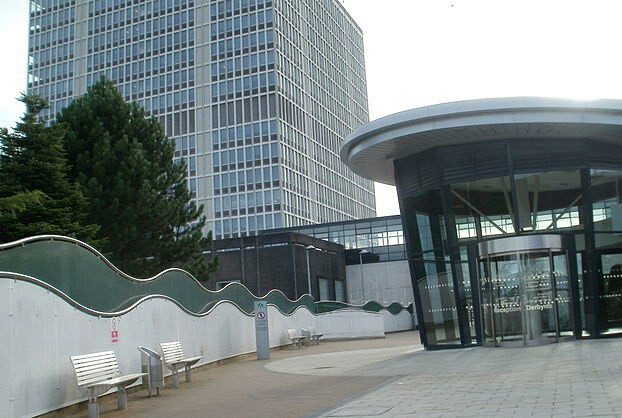 The DVLA is an executive agency of the Department for Transport and, with many buildings across several sites in Swansea, it is a major employer in the area. Most of the humidifier units on site form part of the general office ventilation and air conditioning systems providing comfort conditions for employees, whilst there are others installed to condition and stabilise paper for the many printing operations that take place. Within a newer digital print facility, it is even more important to maintain closely controlled levels of relative humidity, for the clarity and efficiency of the digital print process. This facility is served by 8 air handling units, which predominantly cool, and these were originally fitted with steam humidifiers. After taking a closer look at the operation of these plants, Humideco advised that major savings in energy could be achieved by replacing the steam humidifiers with a low energy humidifier system, as the air could be both cooled and humidified, through the evaporation of water. Building Services Consultants, Hoare Lea and Partners were commissioned to carry out a detailed design and specified the EcoMist high pressure humidifier system, designed and manufactured by Humideco. This system features a centralised RO water treatment plant and pump unit, along with a 6 stage mist nozzle manifold, within each of the air handling units. Operational hygiene is assured through the use of UV sterilization and regular automatic draining and flushing cycles. The power requirement for humidification was reduced from 350kw, to around 12kw, a reduction of over 95%! This, of course, realised huge savings in energy costs, with further savings made from the evaporative cooling benefit. Humideco EcoMist systems can be used solely to cool air in ventilation plants, either directly, or indirectly through a heat exchanger and this is a very useful technique for data centre cooling. 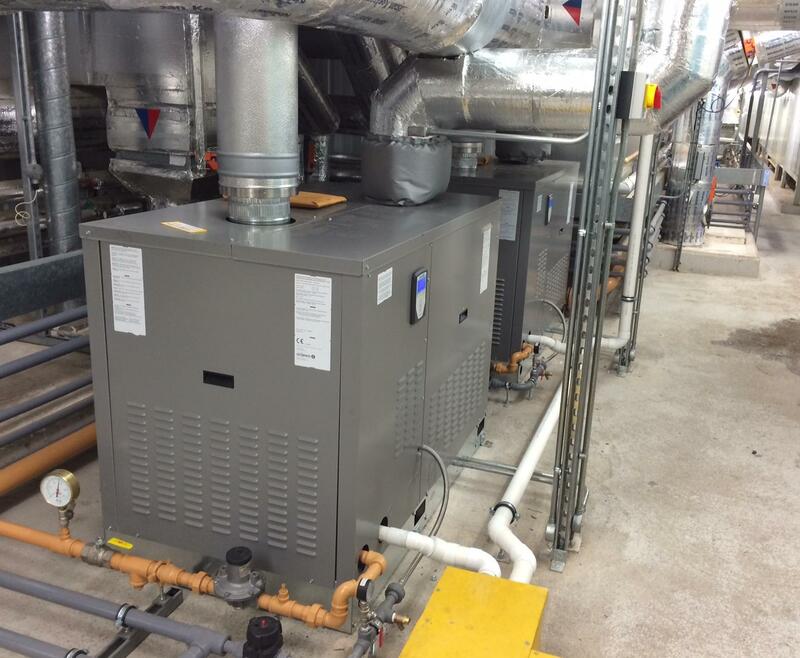 At its recent annual service, one of the first EcoMist humidifier systems to have been installed by Humideco was found to have clocked up over 25,000 hours of trouble free operation, and on the original Danfoss high pressure pumps, valves and controls. Avery Dennison's self-adhesive technology and applications are an integral part of products used in virtually every major market and industry, with product sales in over 89 countries worldwide. At the Avery Dennison Office Products manufacturing facility in Raunds, Northamptonshire, the well known range of Avery boxed label products are produced and packaged, on reel to sheet converting lines. One of the major factors determining the efficiency of the process is the smooth delivery of the finished self adhesive label sheets, once they are cut to size from the roll material. 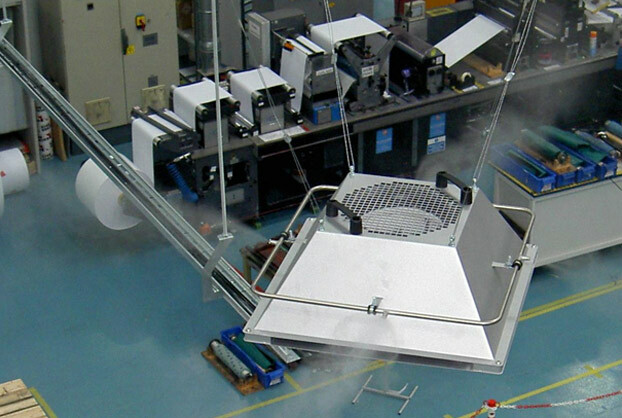 This relies upon the cut sheets laying flat, as they pass along to the next stage, but as the two sides of the sheet differ in terms of their hygroscopic properties, there is a tendency for the sheet to curl, unless the relative humidity of the air is maintained within fairly close limits. The Raunds facility is extensive, at around 15,000 sq. metres, with a 13 metre high roof so to provide an effective humidity control solution throughout this environment presented a unique challenge. The Eco-Mist humidification system, designed and developed by Humideco, was eventually selected and installed in what is thought to be one of the largest applications of its kind in the UK. The final Eco-Mist design features a 3 zone approach to the problem. EM20 fan units, installed at low level, control the process and roll material areas at 50%rh +/- 4%, whilst EM nozzles, installed at a higher level, maintain background humidity levels above 40%rh. 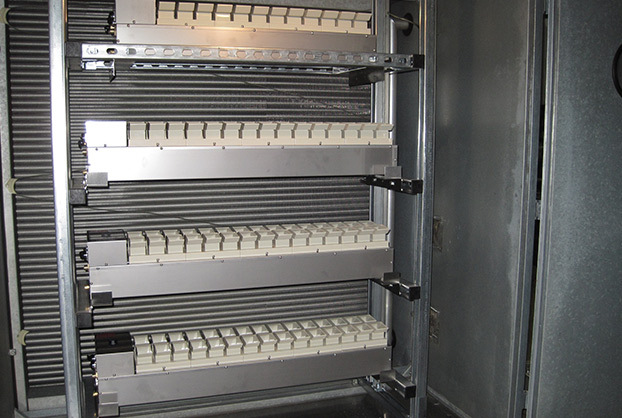 Following the installation of the system in 2007, process efficiency and machine speeds increased by around 20%. “We are seeing an immediate payback from the system, waste has been virtually eliminated and efficiency is consistently high” reported plant engineer Dan Ponsonby, at the time.